NASA invited people around the world to participate in an initiative to send your name to Mars. You just need to record some data on the page prepared by the Agency on its website to get a virtual boarding pass. 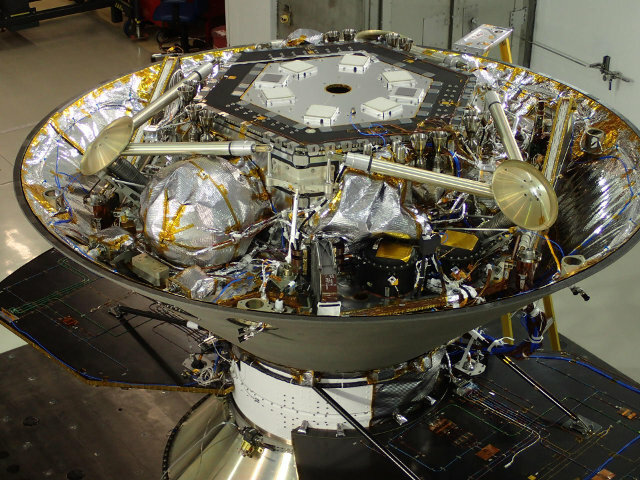 All names will be recorded on a microchip that will be transported on the InSight lander, which is scheduled to be launched in March 2016 to land on Mars in September 2016. 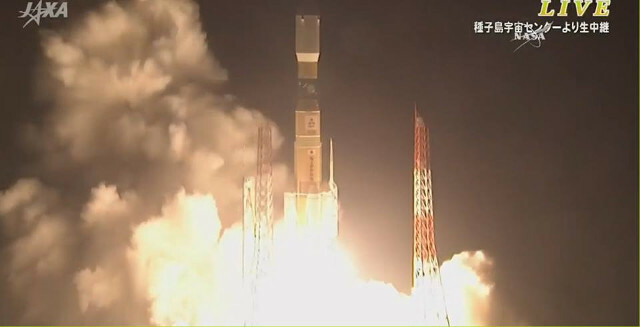 A little while ago the HTV-5 spacecraft blasted off atop a H-II rocket from the Tanegashima Space Center for a supply mission to the International Space Station. About fifteen minutes after launch, the cargo spacecraft regularly separated from the rocket’s last stage, entered a preliminary orbit and deployed its solar panels and navigation antennas. 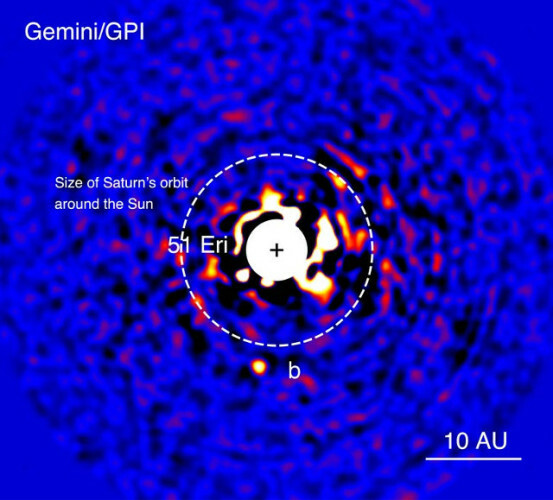 Planet 51 Eridani b is the first discovered using the Gemini Planet Imager (GPI), an instrument that started operating at the beginning of 2014 with the express purpose of directly detecting planets outside the solar system. This is the smallest exoplanet observed directly so far and its characteristics suggest that resembles Jupiter when it was very young. The results of this research were published in the journal “Science”. During the day yesterday the comet 67P/Churyumov-Gerasimenko passed the perihelion, the point of closest approach to the Sun. 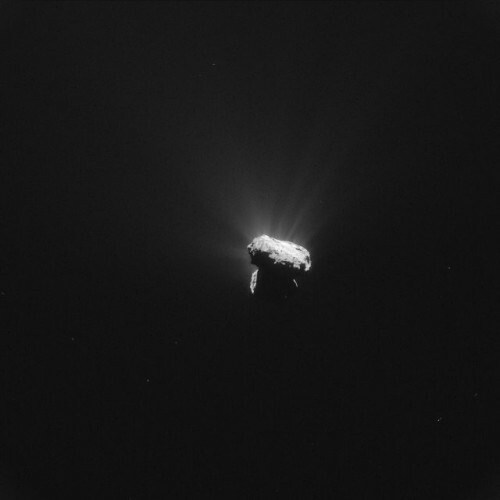 ESA’s Rosetta space probe was at a distance of about 327 kilometers (about 203 miles) and with its NAVCAM instrument took a series of pictures to document the comet’s activities. Thanks to the heat it’s been receiving from the Sun the spectacular jets of gas generated by ice sublimation will continue for a few weeks.